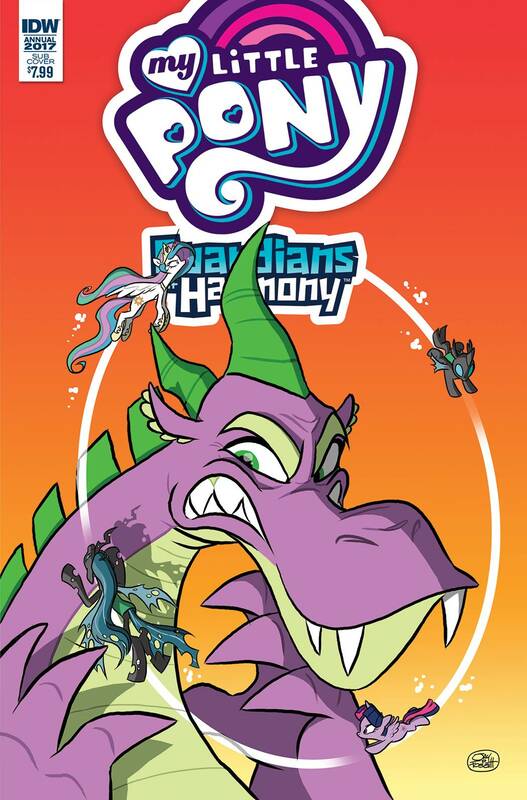 Join the Guardians of Harmony on their quest to protect Equestria from nefarious villains! Featuring six short stories focusing on action and adventure by your favorite MLP creative teams! Ties into the new MLP Guardians of Harmony toy line! Part of IDW's 2017 Annual Offensive! Over-sized and action-packed key stories in a deluxe format!